On Friday, March 15, 2019 we posted Know Your Choices to Pay Your Tax Bill! - Part 1 where we discussed Paying in full within 120 days (short-term payment plan) and Installment agreements (long-term payment plan). In this Part 2we will discuss two other alternative for taxpayers who do not have the money to pay their current tax liability. Doubt as to liability. There must be a genuine dispute as to the existence of amount of the correct tax debt. Doubt as to collectibility. Such doubt exists in any case where the taxpayer's assets and income are less than the full amount of the tax liability. 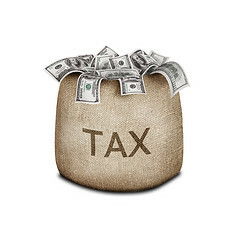 To request an OIC, the taxpayer must apply using Form 656, Offer in Compromise. The taxpayer also must submit Form 433-A (OIC), Collection Information Statement for Wage Earners and Self-Employed Individuals, and/or Form 433-B (OIC), Collection Information Statement for Businesses. A taxpayer submitting an OIC based on doubt as to liability must file a Form 656-L, Offer in Compromise (Doubt as to Liability), instead of Form 656 and Form 433-A (OIC) and/or Form 433-B (OIC). 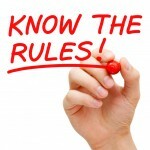 Except with regard to offers filed by low-income taxpayers, or based only on doubt as to liability, an OIC must be accompanied by a nonrefundable payment that depends on how the taxpayer is offering to pay. A taxpayer may propose to pay in a lump sum, i.e., an offer payable in five or fewer installments within five or fewer months after the offer is accepted. If such an offer is made, the taxpayer must include with the Form 656 a payment equal to 20% of the offer amount. This payment is required in addition to the $186 application fee. The taxpayer may be asked to complete a Collection Information Statement (Form 433-F, Form 433-A or Form 433-B) and provide proof of financial status (this may include information about assets and monthly income and expenses). During a temporary delay, IRS will again review the taxpayer's ability to pay, and may also file a Notice of Federal Tax Lien to protect the government's interest in his assets. Taxpayers requesting a temporary delay of the collection process or to discuss other payment options should contact IRS at 1-800-829-1040 or call the phone number on their bill or notice.